Early bird special through September 30, 2016. Welcome to the W.I.T.S. pilot exam. Your early bird registration will save you $150 from what the normal exam price will be in 2017. Your current W.I.T.S. Certification is one of a kind and accepted by the majority of employers nationwide. The passing of our new exam, with NCCA approval, will get all of our candidates a level 1 NCCA credential. This is of course activated after our application is approved in 2017. If you go on to complete our internship a Level 2 W.I.T.S. certification will be issued too. As with any new accreditation process a lot of items need to be included for approval. One of these items is to submit new pilot tests with 500 plus candidates. All of the piloted candidates like yourself that “pass” the new written and practical skill competency exams will get the additional credential. We are scheduling your testing for this fall so you will have plenty of time to study at your leisurely pace. The testing will be at one of our college sites nearest you. The testing is to give us valuable additional data on the exams to be used in our application. This is truly a win-win for everyone. Register now at this exceptional rate and expect a confirmation notice shortly thereafter. There are no refunds but you can transfer your test date one time to the next time it is offered in your area. As an additional bonus a study guide with practice questions will be sent to you after your registration. 2.	Review process may take months for final approval. 3. 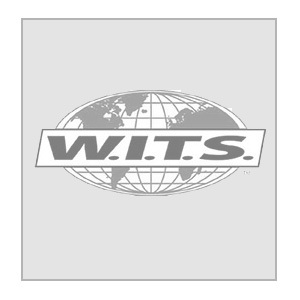 Accreditation is not guaranteed but to date W.I.T.S. has been accredited or approved by every organization that it has applied to in 20 years.